BT, in partnership with TechHub, has today launched a new competition to seek out the latest technologies specifically aimed at improving people’s lives. BT is looking for start-ups and SMEs to come forward with innovative technologies which promise to create opportunities for those in society who may find certain aspects of their life challenging. BT’s Better World Innovation Challenge is the first ‘Better World’ themed competition to be run as part of the BT Infinity Lab programme. It’s the latest competition to recognise the innovation efforts of SMEs - the lifeblood of the UK economy – and which are at the heart of BT’s open innovation model. The competition will recognise tech start-ups and small businesses whose purpose is to make life better for others. For example, could technology help busy single parents better juggle childcare with their education? Perhaps technology can play a critical role in helping retired people looking for part-time work to gain new skills and re-enter the workplace? Or are there new technologies that can help people with disabilities to better engage with the activities they love most? 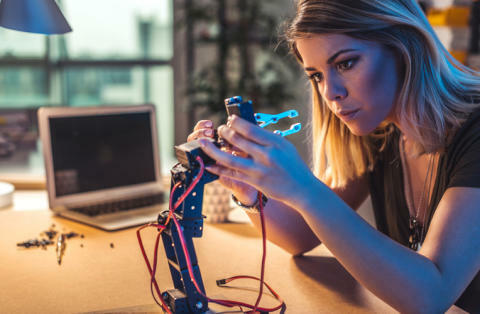 However start-ups and SMEs can help through technology, whether that be providing enhanced access to work, sport, education or recreational activities, BT is interested in hearing about these new technologies. The winning company will be given a £10,000 prize, as well as the opportunity to trial its product or service with BT’s employees and its customers. BT will act as an incubator for the winners’ technology, giving them six months’ support with access to the company’s R&D, commercial and marketing expertise and resources. TechHub is also offering the winner six months’ flexible access to their London office in Tech City, to provide access to workspaces and industry events. All the interested companies need to do is register their interest in the competition which can be found at www.btplc.com/btinfinitylab/betterworldand complete the application form. This includes submitting a short video which outlines their product or service by 18 June, 2018, which is the deadline for entries. The finalists will then be invited to the BT Tower on 26 July, 2018 to pitch their idea to a panel of BT experts, where the winner will also be announced.